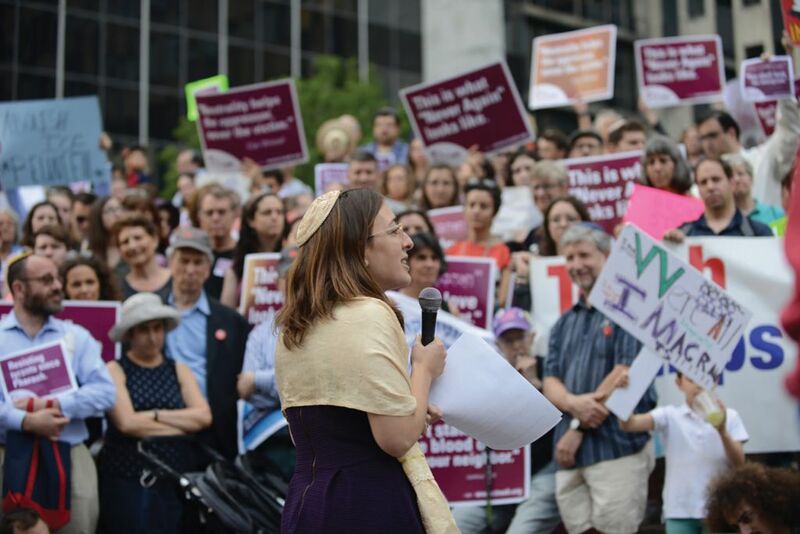 ImmerseNYC’s Rabbi Sara Luria addresses last week’s protest in Lower Manhattan organized by T’ruah. Hundreds of Jews gathered outside of ICE’s offices. 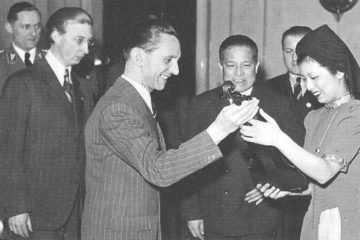 Leftist Jewish group is now calling for the outright abolition of ICE; this piece from a Jewish publication shows just one tiny facet of the massive, crucial, and near-unanimous Jewish support for the invasion of White nations by non-Whites. AS PRESIDENT TRUMP escalates his rhetoric on undocumented immigrants, saying that those crossing the country’s southern border should be deported immediately without due process or a judicial hearing, Jewish organizations opposed to his zero-tolerance policy are intensifying their activities, up to and including the possibility of civil disobedience. The civil disobedience may take place in San Diego, where a group of 10 or 15 rabbis led by the pluralistic advocacy group T’ruah: The Rabbinic Call for Human Rights is planning to join a “full-day, multifaceted mobilization” near the border, as it was described in one email. A spokeswoman for Mijente, the immigrant-led movement organizing the July 2 mobilization, said the day will involve some form of civil disobedience. 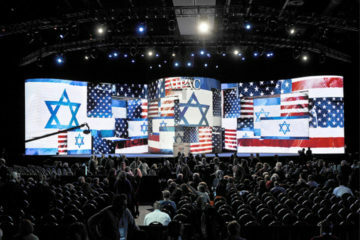 Other Jewish organizations have also stepped up their efforts, despite the president’s executive order to end the separation of children and parents, a directive they feel is far less significant than many Americans believe. 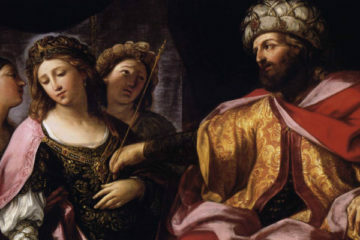 “It’s mainly a shift from the separation of families to the wholesale detention of families,” said Rabbi Jason Kimelman-Block, Washington director of Bend the Arc: Jewish Action. “What we’re talking about is the criminalization of all undocumented immigrants,” including many asylum-seekers. 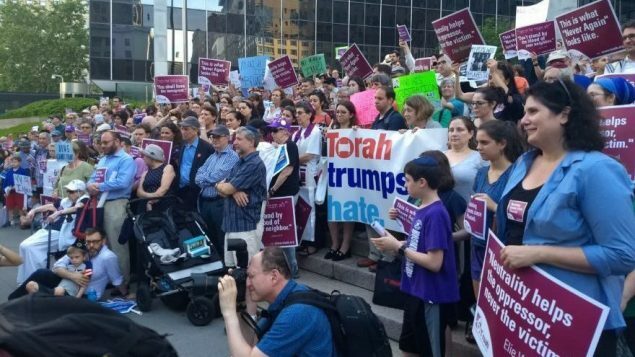 Since the June 20 executive order, T’ruah organized what some of its leaders called a “moral minyan” in Lower Manhattan to protest Trump’s treatment of undocumented immigrants. Held last week outside the New York office of Immigration and Customs Enforcement, or ICE, the gathering drew hundreds of Jews from across the religious spectrum and featured several rabbis and one elected official among its speakers. Meanwhile, on the same day as the rally, about 10 rabbis organized by T’ruah, the Reform movement’s Religious Action Center and the Reconstructionist Rabbinical Association joined 40 other interfaith leaders in the border town of McAllen, Texas. The clerics planned to visit a family detention center in McAllen, but they weren’t allowed to enter once they arrived, said participant Rabbi Jill Jacobs, T’ruah’s executive director. But they did visit a respite center operated by Catholic Charities for migrant families who have been released from detention and are headed to the homes of relatives elsewhere in the country. “Those are the lucky ones,” Rabbi Jacobs said, adding that the families are primarily asylum-seekers. Other religious leaders who met those families in McAllen included the Rev. Al Sharpton and Rabbi Jonah Pesner, director of the Religious Action Center. Despite their differences, Rabbi Jacobs said, they all went there with the same purpose in mind: “to witness what was happening at the border, to report back to our communities” and to show the migrants that they haven’t been forgotten. All those organizations are also urging members and supporters to attend major rallies this Saturday in Washington and in more than 130 other cities across the country. Part of a “Families Belong Together” national day of action, the events are being sponsored by such advocacy groups as MoveOn, the Human Rights Campaign and the American Civil Liberties Union. The New York gathering will meet at Foley Square in Lower Manhattan and march across the Brooklyn Bridge to Cadman Plaza. Commenting however will likely do no good as there are 1600-plus already. When a Jewish fanatic/Israel settler kills Palestinian children and is protected by his government in so doing, where is the outrage in the U.S. media? Settlers and soldiers kill Palestinians, young and old, with impunity and are almost never punished. They destroy their orchards and livestock to eliminate their livelihoods to drive them out. They bulldoze their homes and villages. The Immigration and Customs Enforcement agency does none of that and is yet subject to nonstop abuse in the mainstream media, so what about Israel? Big time employers of illegal aliens.